More than 50 European and Asian leaders backed free trade and the fight against climate change on Friday in a veiled swipe at US President Donald Trump and his increasingly protectionist approach. As disputes fester with Washington, the 12th summit of the Asia-Europe Meeting (ASEM) gave its support to the World Trade Organization (WTO), which Trump has accused of treating the US unfairly. Senior figures from Asia and Europe gathered in Brussels for talks over two days, including the prime ministers of China, Japan and Russia. The leaders "committed to ensure free and open trade on a level playing field and fight all forms of protectionism, including protectionist unilateral measures and unfair trade practices", in a statement issued after the summit. The US president has relentlessly pursued a confrontational trade policy, including imposing harsh tariffs on steel and aluminium, and on $250 billion in annual imports from China. German Chancellor Angela Merkel, the head of Europe's biggest economy which Trump has targeted for criticism, rejected the idea that trade deals must be about winners and losers. 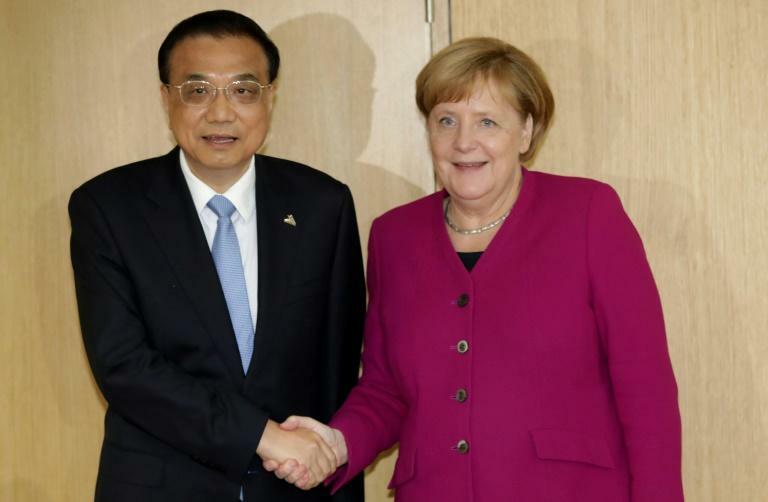 "The summit shows that countries from Europe and Asia, which all want a rule-based world trade, are gathering here to commit themselves to multilateralism and this is an important signal," Merkel told reporters. "I believe that we can make it clear that the world is about creating win-win situations, making it clear that what benefits one can also benefit the other." 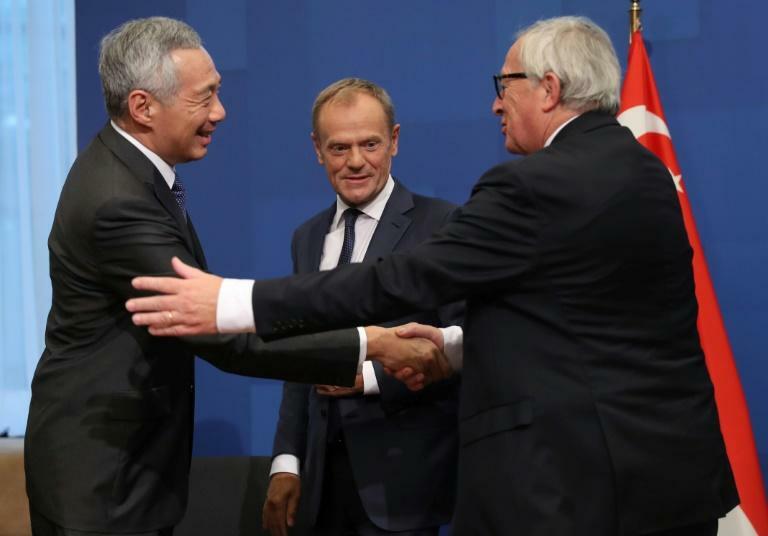 The EU inked a landmark trade deal with Singapore on the margins of the summit on Friday in what Brussels hopes will be a clear rebuttal of rising US protectionism. The Korean peace process was also be on the agenda, with senior EU officials holding talks with South Korean President Moon Jae-in. Earlier this week Moon said world powers needed to reassure the North Korean leader Kim Jong Un that he had taken the right decision in committing to scrap his nuclear weapons programme. Leaders at the summit also "reiterated their collective support" for the beleaguered Iran nuclear deal, which suffered a hammer blow when the US pulled out earlier this year and reimposed sanctions on Tehran -- despite the desperate pleas of European allies. But Europe's desire to build a united front with Asian powers is tempered by grave concerns about numerous human rights issues in countries across the continent. The EU warned Cambodia and Myanmar that they could face losing preferential trading privileges with the bloc over election irregularities and the Rohingya crisis, respectively. A brutal military crackdown on Rohingya Muslims in Myanmar's northern Rakhine state which began last year has forced more than 700,000 to flee to neighbouring Bangladesh. The summit statement stressed the need to find a solution to the unrest and to "establish conducive conditions for the safe, voluntary, dignified, and sustainable return and reintegration of displaced persons" to Rakhine, but did not refer to the Rohingya by name.